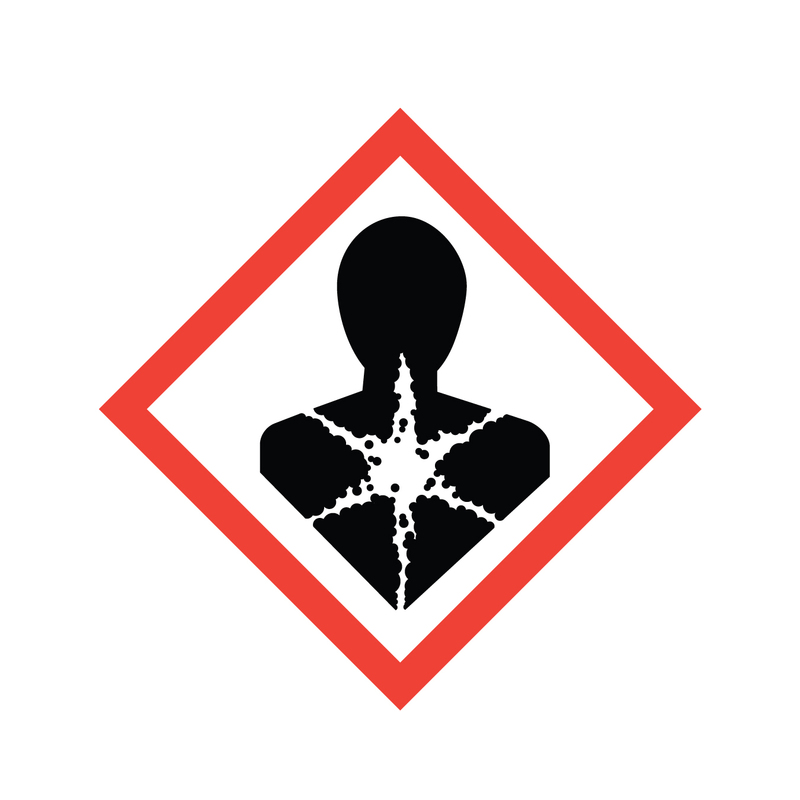 The GHS system, part of OSHA's Hazard Communication Standard (HCS), consists of nine symbols, or pictograms, providing recognition of the hazards associated with certain substances. 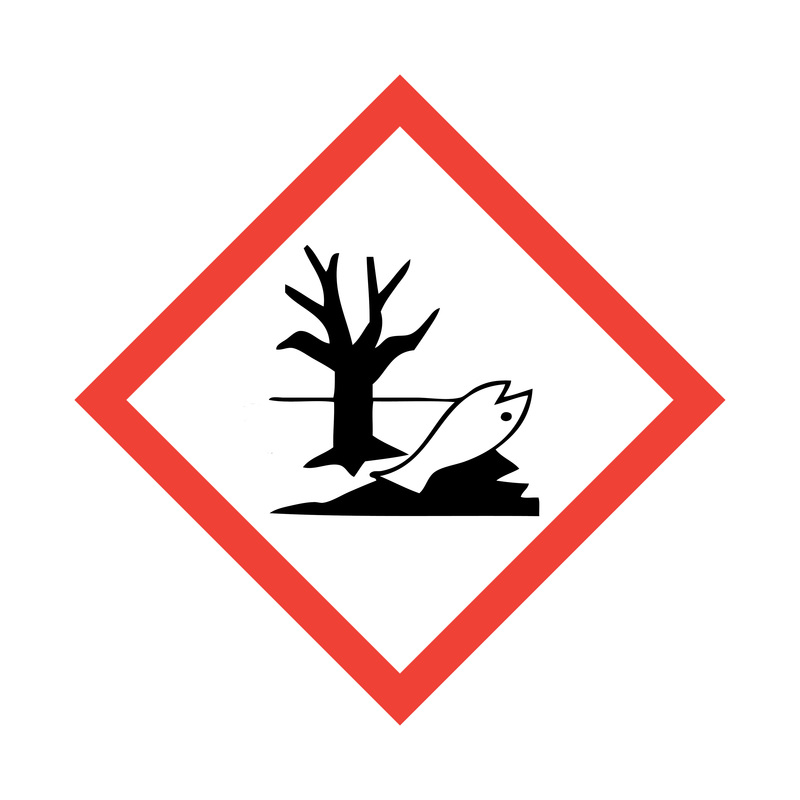 Use of eight of the nine are mandatory in the U.S., the exception being the environmental pictogram (see below). 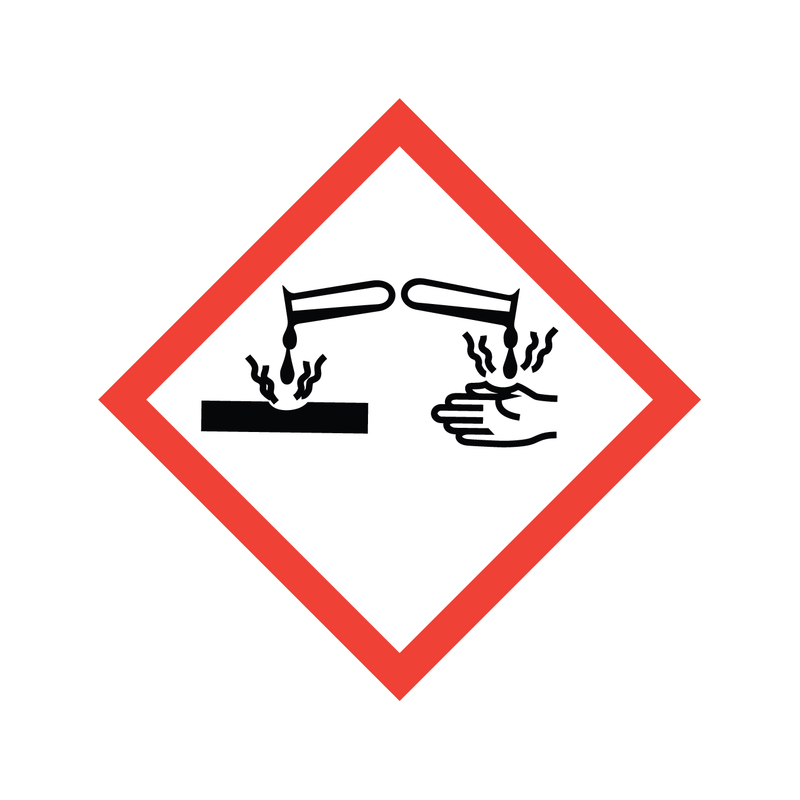 Each pictogram covers a specific type of hazard and is designed to be immediately recognizable to anyone handling hazardous material. 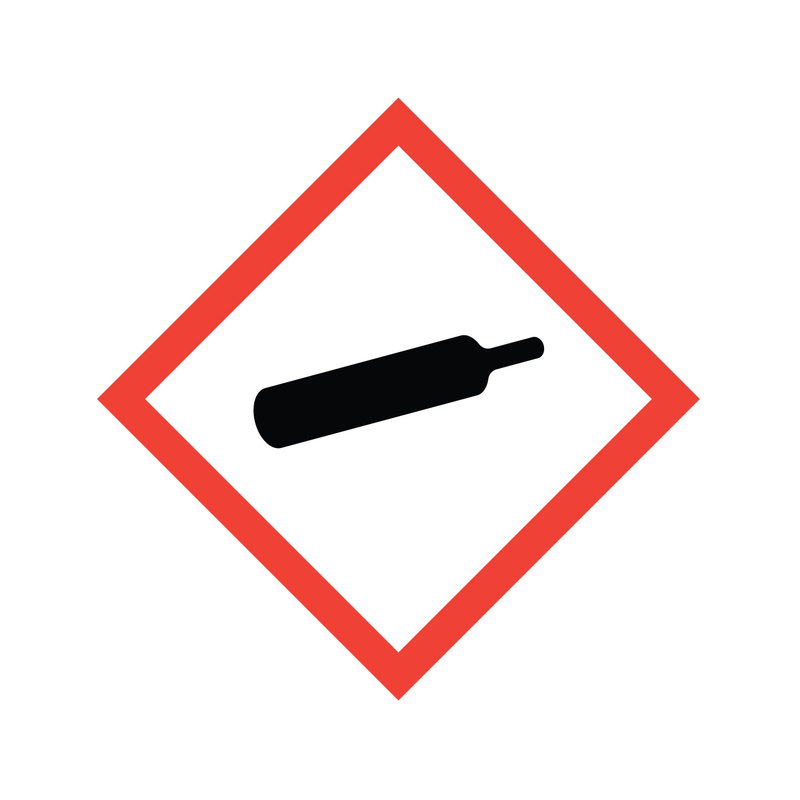 In addition to pictograms, labels are required to include a signal word (“danger” or “warning”), a brief hazard statement and a precautionary statement outlining ways to prevent exposure. Health Hazard: A cancer-causing agent (carcinogen) or substance with respiratory, reproductive or organ toxicity that causes damage over time (a chronic, or long-term, health hazard). Flame: Flammable materials or substances liable to self ignite when exposed to water or air (pyrophoric), or which emit flammable gas. 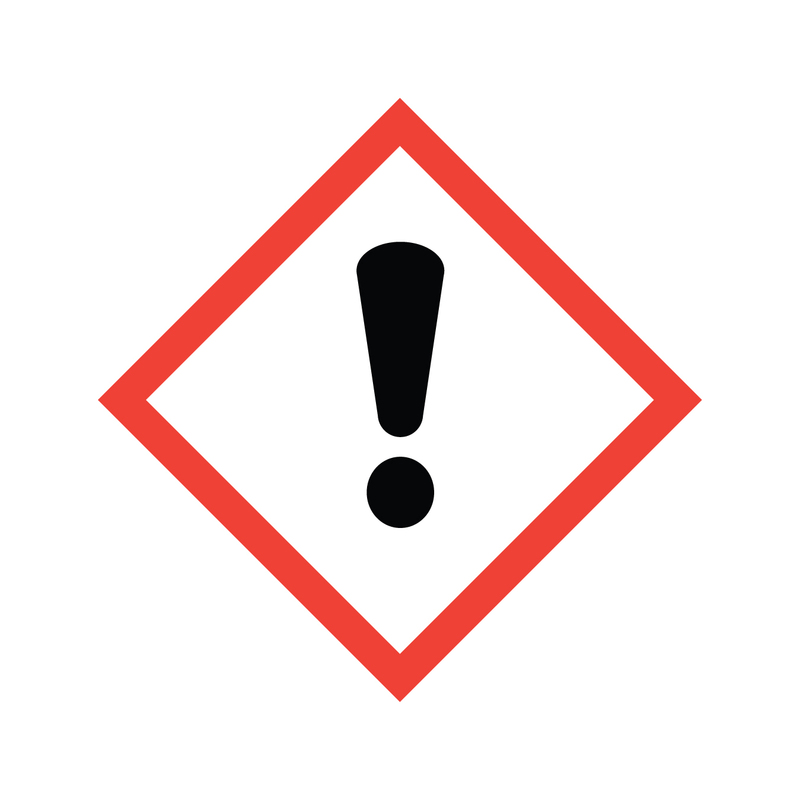 Exclamation Mark: An immediate skin, eye or respiratory tract irritant, or narcotic. Gas Cylinder: Gases stored under pressure, such as ammonia or liquid nitrogen. Corrosion: Materials causing skin corrosion/burns or eye damage on contact, or that are corrosive to metals. 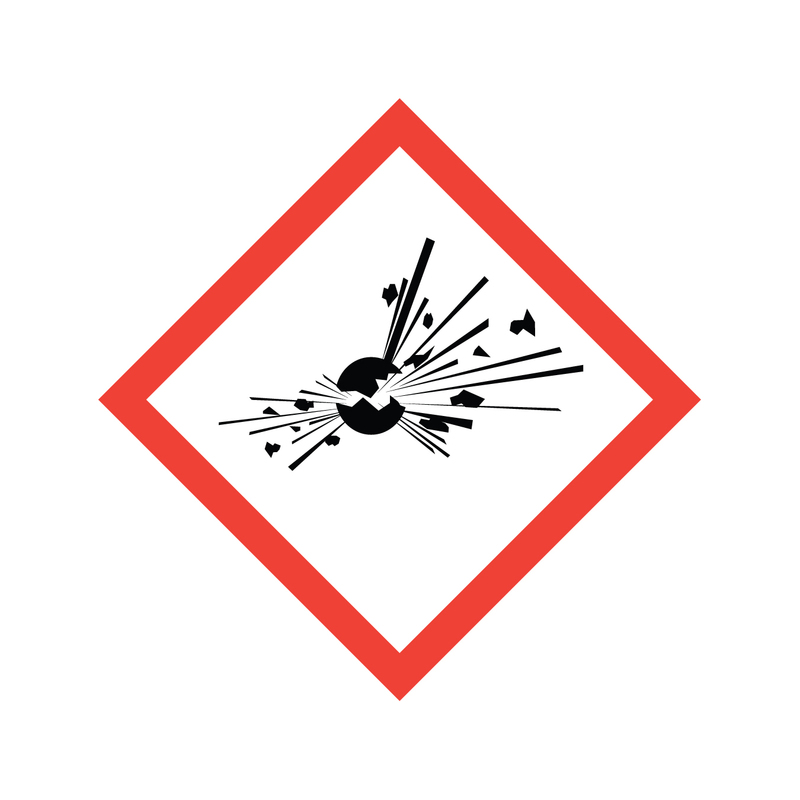 Exploding Bomb: Explosives, including organic peroxides and highly unstable material at risk of exploding even without exposure to air (self-reactives). 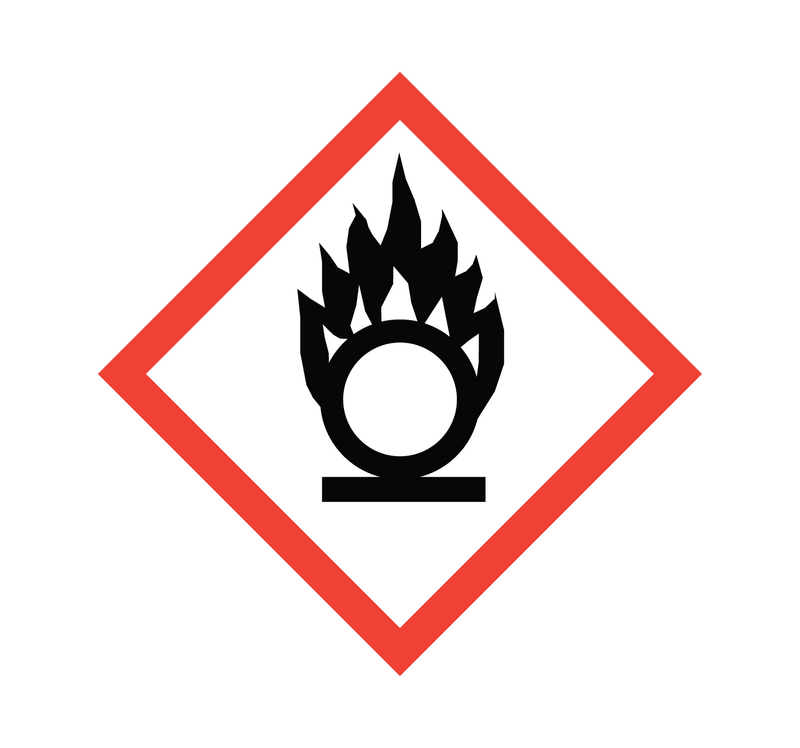 Flame Over Circle: Identifies oxidizers. 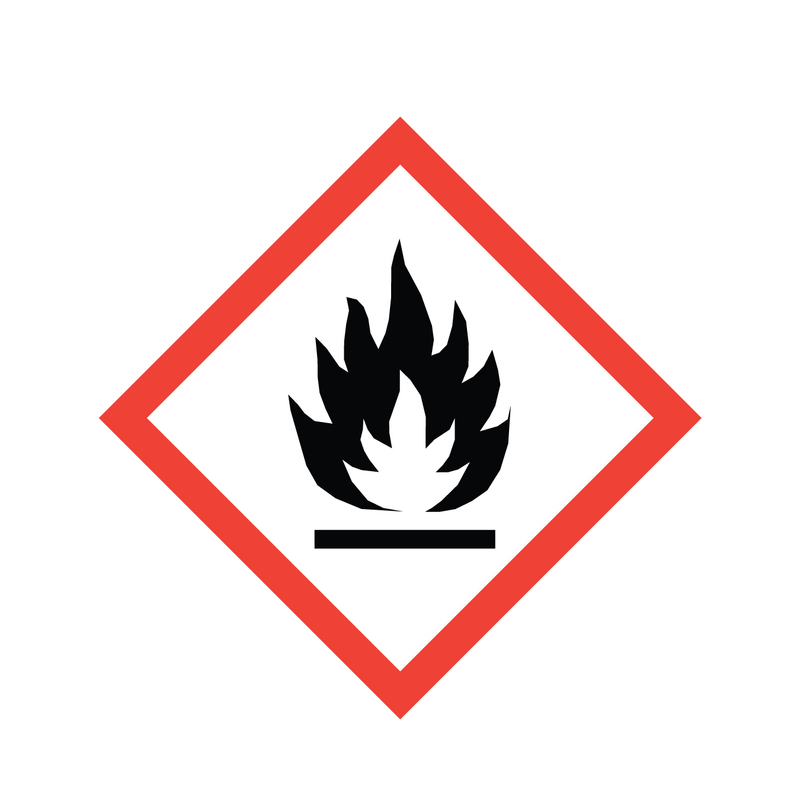 Oxidizers are chemicals that facilitate burning or make fires burn hotter and longer. 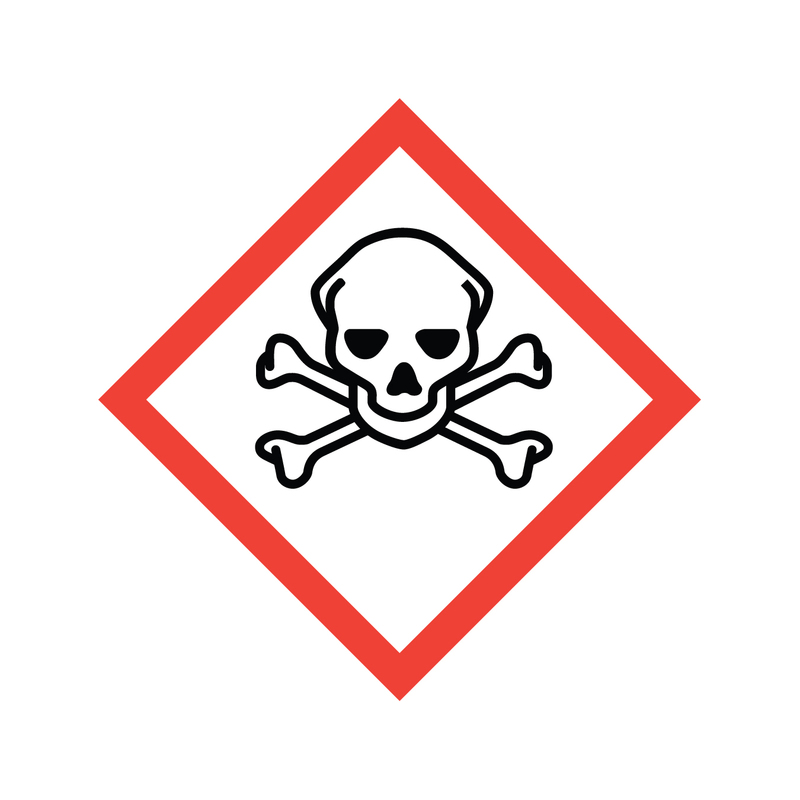 Skull and Crossbones: Substances, such as poisons and highly concentrated acids, which have an immediate and severe toxic effect (acute toxicity).